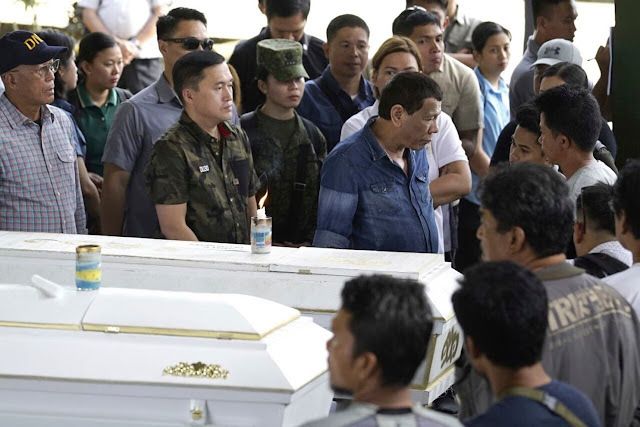 Washington Post : MANILA, Philippines — President Rodrigo Duterte and his top security officials on Monday visited a Catholic cathedral in the southern Philippines where suspected Islamic militants set off bombs that killed 20 people and wounded more than 100. The explosions scattered wooden pews inside the main hall, blasted out window glass panels and hurled human remains and debris across a town square fronting the Cathedral of Our Lady of Mount Carmel, witnesses said. 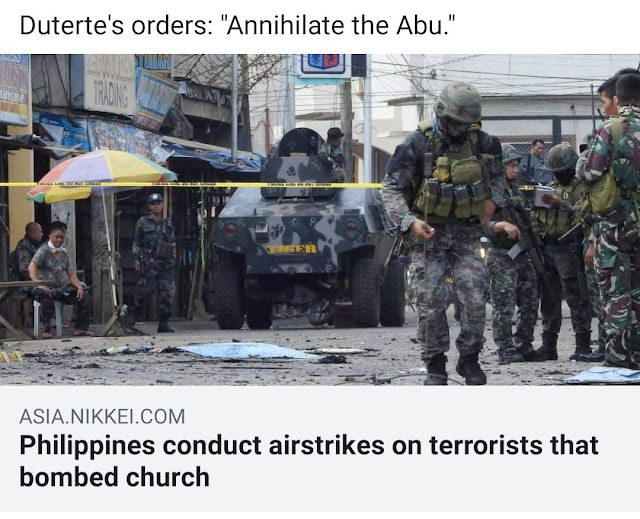 The attack occurred in the Sulu provincial capital on Jolo island, where Abu Sayyaf militants have carried out years of bombings, kidnappings and beheadings and have aligned themselves with the Islamic State group, which claimed responsibility for the attack. Duterte later met with families of the victims at a military camp in Jolo where coffins were laid side by side. Defense Secretary Delfin Lorenzana, who was with the president, blamed the attack on Abu Sayyaf commander Hatib Sawadjaan, who he said has pledged allegiance to the Islamic State group. “This is an act of terrorism,” Lorenzana said. “This is not a religious war.” Sawadjaan is based in the jungles of Patikul town, near Jolo, and has been blamed for ransom kidnappings and beheadings of hostages, including two Canadian men, in recent years.